It is easy to think of play in terms of specific ‘play activities’ such as tag, soccer, or playing in the sandbox and work in terms of ‘work activities’ like raking leaves, folding towels or wiping tables. In fact, all of these are considered ‘play’ activities by children. Historically, play has been viewed as a frivolous break from important endeavours like working and learning. Research tells us that a child’s ability to fully and freely engage in play is essential to their learning, productivity and overall development. Children have a lifetime to be adults; we encourage them to enjoy their childhood with playful, interesting and developmentally appropriate activities. We create opportunities for exploration, creativity and use of imagination. Growth and development are unique to each individual and are sensitive to each child’s time clock. We believe life is a journey and not a race. Values and Principles: Why Play? A natural drive to play is universal across all young mammals, from lion cubs playfully wrestling and baby monkeys jostling to kittens rolling a ball of yarn. These young ones are exploring their world through play in a manner similar to humans. Play is a crucial vehicle for exploring and learning, developing new skills, building relationships and connecting with others. Play has key neurological, cognitive, socio-emotional and physiological benefits for children’s health. Pretend play has been linked to creativity and creative problem-solving. 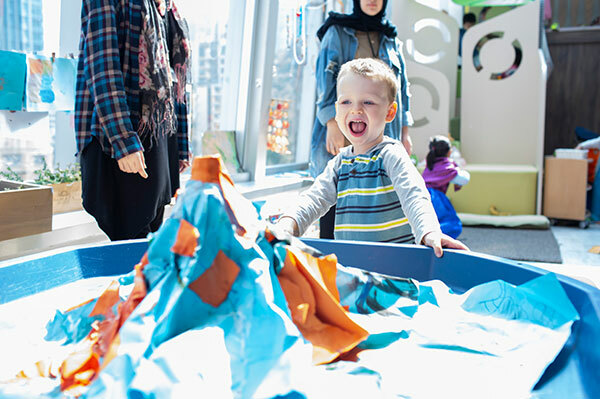 Play has been described as practice in divergent thinking, because in play, children are constantly coming up with new ideas and recombining them to create novel scenarios. Most importantly, play is the way in which children form loving, trusting relationships. There is a close link between play and healthy cognitive growth. Early childhood educators and developmental neurologists agree that the first eight years are a critical time of brain development. Some neurons in the brain are wired before birth, but many are waiting to be programmed by early experiences. The early environments where young children live will help determine the direction of their brain development. Children who have the opportunity to develop in organized, intentional and appropriate environments are challenged to think and use materials in new ways. Brain research indicates that there are important “windows of opportunity” that exist during the early years. These are considered the prime times for brain development in language, logical thinking, music, vision, and emotion. Appropriate and interesting experiences during the early years, have positive impacts on child development by creating brain connections that last a lifetime. There are consistent findings and good evidence in research that increasing opportunities for rich symbolic play can have a positive influence on literacy development. Pretend play with peers engages children in the same kind of representational thinking needed in early literacy activities. Children develop complex narratives in their pretend play. They begin to link objects, actions, and language together in combinations and narrative sequences. They generate language suited to different perspectives and roles. Play lays the foundation for later academic success in reading, writing, communication and speech. 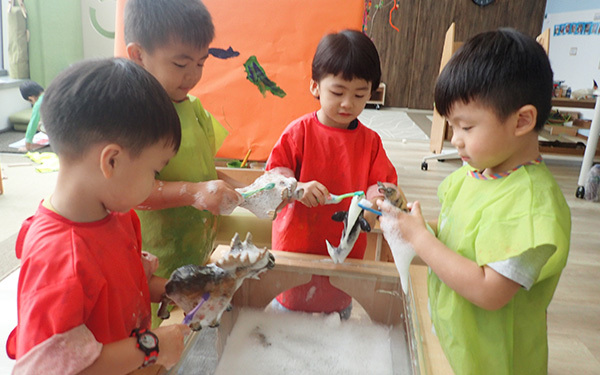 When children engage in building with blocks, playing with sand or exploring with water, they are developing skills that lay the foundation for logical mathematical thinking, scientific reasoning and cognitive problem-solving. Play fosters creativity and flexibility in thinking and solving problems, which are crucial to numeracy development. The brain is a pattern-seeking device. Patterns are found in nature, art, music, movement, children’s stories and in mathematics. The ability to find patterns in the everyday world through play helps to build foundational skills in math. Play provides hands-on experiences with real-life materials that help children develop abstract scientific and mathematical concepts. Play is critical for the development of imagination, creative problem-solving and development of numeracy skills. The Reggio Emilia approach to early childhood education developed in Italy over 70 years ago, is inquiry-based and values the child as strong, capable and resilient; rich with wonder and knowledge. Every child brings with them deep curiosity, which drives their interest to understand their world and their place within it. Children are capable of constructing their own learningThey are driven by their interests to understand and know more. Children form an understanding of themselves and their place in the world through their interactions and relationships with othersThere is a strong focus on social collaboration and working in groups where each child is an equal participant whose thoughts and questions are valued. The adult is not the provider of knowledge. Children search out knowledge through their own investigations and become their own knowledge makers. Children are communicatorsCommunication is a process; a way of discovering things, asking questions, using language as play, playing with sounds rhythm and rhyme. Children are encouraged to use language to investigate and explore, to reflect on their experiences. They are listened to with respect, believing that their questions and observations are an opportunity to learn and search together. It is a continual, and collaborative process. Rather than the child asking a question and the adult offering the answers, the search is undertaken together. The classroom environment is recognised for its potential to inspire children. It is considered the third teacher next to adults (parents & teachers) and the other childrenThe environment is filled with natural light, order and beauty. It is an open space, free from clutter where every material is considered for its purpose, and every corner evolves to encourage children to delve deeper and deeper into their interests. The space encourages collaboration, communication and exploration while respecting the capability of children by providing them with authentic materials and tools. The space is cared for by the children and the adults. The adult is a mentor and guide, learning with the childOur role as adults is to observe our children, listen to their questions and their stories, find what interests them and then provide them with opportunities to explore these interests further. The projects emerge based on the child’s interests. An emphasis on documenting children’s thoughtsIn Reggio-inspired settings, there is an emphasis on carefully displaying and documenting children’s thoughts and progression of thinking. Teachers make the learning visible in many different ways: photographs, transcripts and explanations, drawings, posters, videos etc. All is designed to show the child’s learning process. 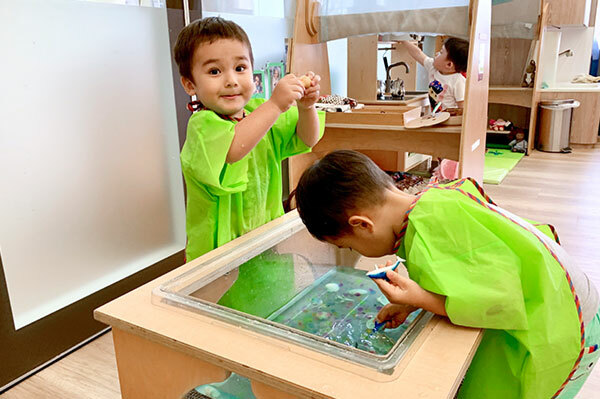 The ‘Hundred Languages’ of ChildrenThe Reggio Emilia approach emphasizes hands-on discovery learning that allows the child to use all their senses and all their ‘languages’ to learn. Children express their learning in many different ways (the hundred languages of children) which demonstrate their understanding. They express their thoughts and creativity through drawing, sculpting, dance and movement, painting and pretend play, modelling and music, and each one of these hundred languages is valued and nurtured. These languages or ways of learning are all a part of the child. 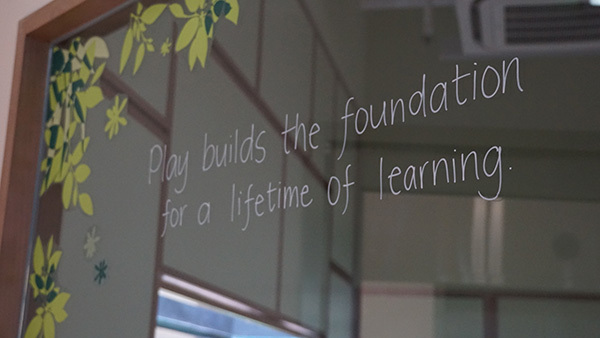 Learning and play are not separated. Children’s experiences early in life have a profound and long-lasting impact on their future development and well being (P.4, Ontario Early Years Policy Framework, 2013). Both the Early Learning Frameworks from British Columbia and Ontario in Canada base their principles and approaches on research, best practices and a common set of principles that help guide and support educators and caregivers. The principles can be applied in a number of different ways, but are relevant for all children regardless of their language, ethnicity, gender, culture or ability. Below are the combined principles from the two frameworks. Fairchild Junior Academy will draw upon best practice from around the world to ensure children are readily prepared for the kindergarten or primary school of their choice.